It’s one of those write-things-down-in-an-attempt-to-hold-me-accountable posts. 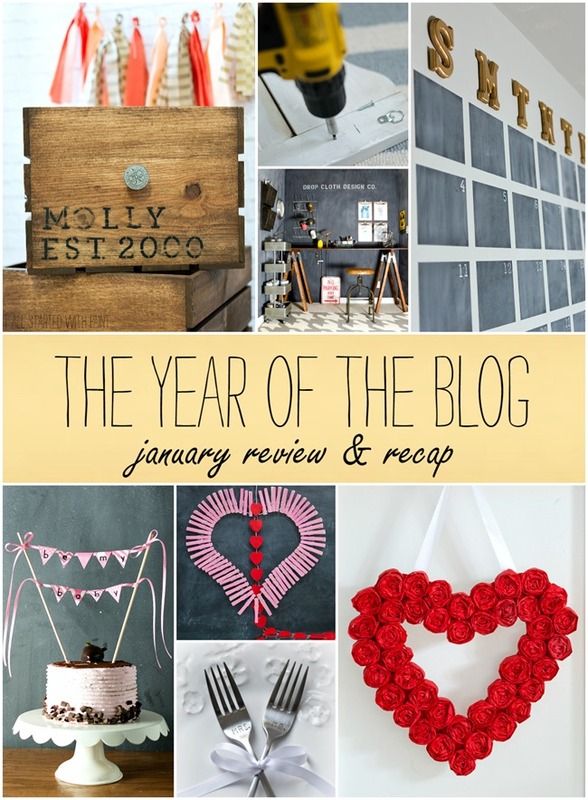 After all, I did start 2015 with a huge proclamation about how this would be the year of the blog. Pretty bold, if I do say so myself. But saying is one thing. Doing is another. And I thought I’d share what I’ve been doing this month. Let’s start behind the scenes. I kicked off the year by forcing myself to tackle a tough question: What are my goals for the blog? But then I read somewhere that people who create clear and measurable goals … and actually write them down … have a much higher success rate of attaining those goals. So I shut off the computer. I shut off the television. And I sat down with pen and paper in hand. And I scrawled out some goals. Then I took a shower. Because that’s where I do my best thinking. In that shower, I mulled over those scrawled out goals. I rolled them around in my head. I added some. Deleted some. More clearly defined others. And when I was finished, I typed them up. Printed them out. And for that first week in January I looked at them every day. Every. Single. Day. Right on up until they got buried under a pile of papers. Today I am dusting them off. And hanging them in my office work space. Front and center. Where I will see them every day. In the front of the house (which is code for on the blog), I tried … sometimes successfully, sometimes not … to stick to an editorial calendar. One that plotted out a mix of ‘how to’s’ from around the house and seasonal craft projects and Weight Watcher’s friendly recipes and a few Paint This! round-ups. A diy smorgasbord, if you will. Looking back, I can proudly proclaim January a success. The crafting was all about Valentine’s Day. With a tissue paper wreath. And clothespin wreath. And Mr. & Mrs. stamped forks. And my favorite little ‘Be My Baby’ cake banner. Finally, I made and shared two of my favorite Weight Watchers-friendly recipes: Chicken Fajitas & Zero Point Vegetable Soup. so much so that I’m a bit worried about February. P.S. The highlight of my first month of “The Year of The Blog” was when a reader sent me pictures of her recreations of my two Valentine’s Day wreaths. So sweet! And with that one email, I was motivated to keep pushing through. To keep creating. And posting. Thank you so much Stacy for your lovely, inspirational email! Yay for you! People have been bugging me to do more crafts, so maybe I should?? I love the faster pace you’re on (several posts/week), and I for one hope you are able to sustain it!! that’s one of the reasons we blog right….to inspire others. Happy February! OMG! I’m a bit behind on my blog reading, so imagine my surprise and utter delight to see myself mentioned in the PS! I’m so happy that my email helped motivate you! Everytime I’m in my living room, I’m looking at my 2 wreaths and enjoying them – and indirectly enjoying your blog because they were inspired from it. 🙂 Can’t wait to see what you share with us the rest of the year!